Hypnosis is a state of extreme self-focus and attention in which minimal attention is given to external stimuli. In the therapeutic setting, a clinician may use relaxation and suggestion in an attempt to alter the thoughts and perceptions of a patient. Hypnosis has also been used to draw out information believed to be buried deeply in someone’s memory. For individuals who are especially open to the power of suggestion, hypnosis can prove to be a very effective technique, and brain imaging studies have demonstrated that hypnotic states are associated with global changes in brain functioning (Del Casale et al., 2012; Guldenmund, Vanhaudenhuyse, Boly, Laureys, & Soddu, 2012). Historically, hypnosis has been viewed with some suspicion because of its portrayal in popular media and entertainment. Therefore, it is important to make a distinction between hypnosis as an empirically based therapeutic approach versus as a form of entertainment. Contrary to popular belief, individuals undergoing hypnosis usually have clear memories of the hypnotic experience and are in control of their own behaviors. While hypnosis may be useful in enhancing memory or a skill, such enhancements are very modest in nature (Raz, 2011). 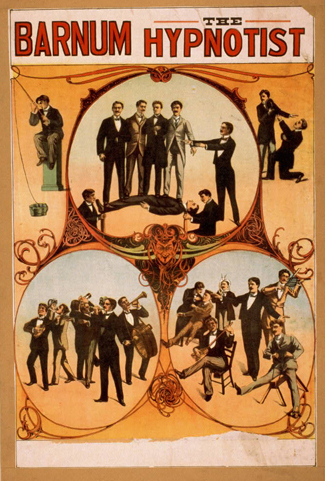 Popular portrayals of hypnosis have led to some widely-held misconceptions. The participant is guided to focus on one thing, such as the hypnotist’s words or a ticking watch. The participant is made comfortable and is directed to be relaxed and sleepy. The participant is told to be open to the process of hypnosis, trust the hypnotist and let go. The participant is encouraged to use his or her imagination. These steps are conducive to being open to the heightened suggestibility of hypnosis. People vary in terms of their ability to be hypnotized, but a review of available research suggests that most people are at least moderately hypnotizable (Kihlstrom, 2013). Hypnosis in conjunction with other techniques is used for a variety of therapeutic purposes and has shown to be at least somewhat effective for pain management, treatment of depression and anxiety, smoking cessation, and weight loss (Alladin, 2012; Elkins, Johnson, & Fisher, 2012; Golden, 2012; Montgomery, Schnur, & Kravits, 2012). Some scientists are working to determine whether the power of suggestion can affect cognitive processes such as learning, with a view to using hypnosis in educational settings (Wark, 2011). Furthermore, there is some evidence that hypnosis can alter processes that were once thought to be automatic and outside the purview of voluntary control, such as reading (Lifshitz, Aubert Bonn, Fischer, Kashem, & Raz, 2013; Raz, Shapiro, Fan, & Posner, 2002). However, it should be noted that others have suggested that the automaticity of these processes remains intact (Augustinova & Ferrand, 2012). How does hypnosis work? Two theories attempt to answer this question: One theory views hypnosis as dissociation and the other theory views it as the performance of a social role. According to the dissociation view, hypnosis is effectively a dissociated state of consciousness, much like our earlier example where you may drive to work, but you are only minimally aware of the process of driving because your attention is focused elsewhere. This theory is supported by Ernest Hilgard’s research into hypnosis and pain. In Hilgard’s experiments, he induced participants into a state of hypnosis, and placed their arms into ice water. Participants were told they would not feel pain, but they could press a button if they did; while they reported not feeling pain, they did, in fact, press the button, suggesting a dissociation of consciousness while in the hypnotic state (Hilgard & Hilgard, 1994). Taking a different approach to explain hypnosis, the social-cognitive theory of hypnosis sees people in hypnotic states as performing the social role of a hypnotized person. As you will learn when you study social roles, people’s behavior can be shaped by their expectations of how they should act in a given situation. Some view a hypnotized person’s behavior not as an altered or dissociated state of consciousness, but as their fulfillment of the social expectations for that role. Meditation is the act of focusing on a single target (such as the breath or a repeated sound) to increase awareness of the moment. While hypnosis is generally achieved through the interaction of a therapist and the person being treated, an individual can perform meditation alone. Often, however, people wishing to learn to meditate receive some training in techniques to achieve a meditative state. A meditative state, as shown by EEG recordings of newly-practicing meditators, is not an altered state of consciousness per se; however, patterns of brain waves exhibited by expert meditators may represent a unique state of consciousness (Fell, Axmacher, & Haupt, 2010). Although there are a number of different techniques in use, the central feature of all meditation is clearing the mind in order to achieve a state of relaxed awareness and focus (Chen et al., 2013; Lang et al., 2012). Mindfulness meditation has recently become popular. In the variation of meditation, the meditator’s attention is focused on some internal process or an external object (Zeidan, Grant, Brown, McHaffie, & Coghill, 2012). Meditative techniques have their roots in religious practices, but their use has grown in popularity among practitioners of alternative medicine. Research indicates that meditation may help reduce blood pressure, and the American Heart Association suggests that meditation might be used in conjunction with more traditional treatments as a way to manage hypertension, although there is not sufficient data for a recommendation to be made (Brook et al., 2013). Like hypnosis, meditation also shows promise in stress management, sleep quality (Caldwell, Harrison, Adams, Quin, & Greeson, 2010), treatment of mood and anxiety disorders (Chen et al., 2013; Freeman et al., 2010; Vøllestad, Nielsen, & Nielsen, 2012), and pain management (Reiner, Tibi, & Lipsitz, 2013). Other States of Consciousness by Rajiv Jhangiani, Ph.D. is licensed under a Creative Commons Attribution 4.0 International License, except where otherwise noted.